Any questions about our keybard,please fell free to contact us . Specification】This keyboard is with big enter key and only compatitable with hp probook 650 g1 and 655 g1 . 【Safe】Easy for you replace your faulty,cracked or broken keyboard ,seller remind that you should replace the keyboard in the off state. 【Laptop anti-theft lock】Please check the asinB0749MZ55Q if you need it. 【Warranty】SUNMALL laptop keyboard are new and original,100% tested before shipping,providing 6 months warranty and 24-hour after-sale service,create an environment of worry free shopping! 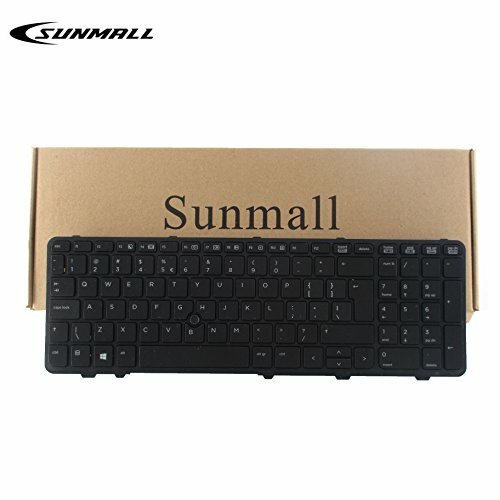 【About Us】SUNMALL are specialized in laptop accessories for many years ,we sale thousands of keyboard out every yard and less 1% Customer complaints ,you also can contact with us when you need palce an big order,we would give you the most competitive price, hope the long business with you. If you have any questions about this product by keyboardseller, contact us by completing and submitting the form below. If you are looking for a specif part number, please include it with your message.